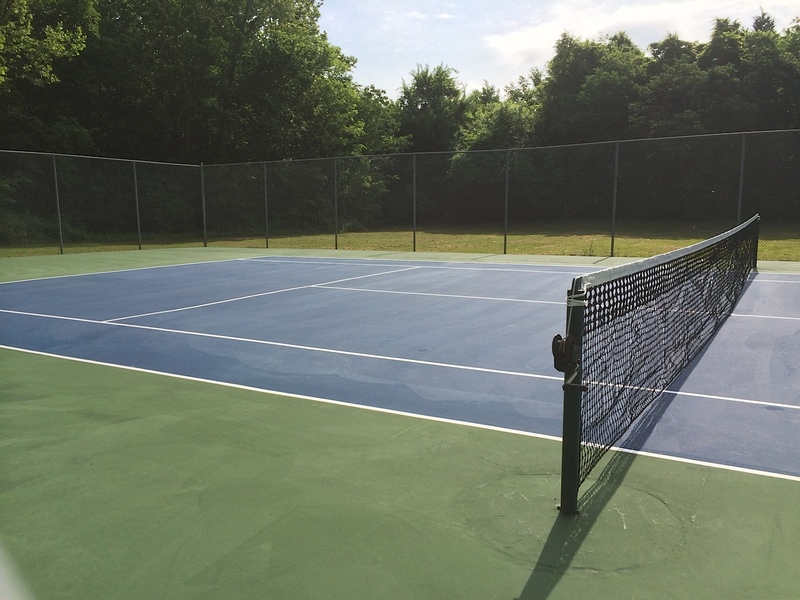 The tennis courts are located at the entrance of Redwing Meadows at Warrior Drive. It is on a first come first serve basis. Please park cars on street. The cleaning of the tennis court has been proposed.